The Jade MacKinnon NZ Fitness Model Search looks for the next Female and Male NZ Fitness Models and Fit Mums and Dads. 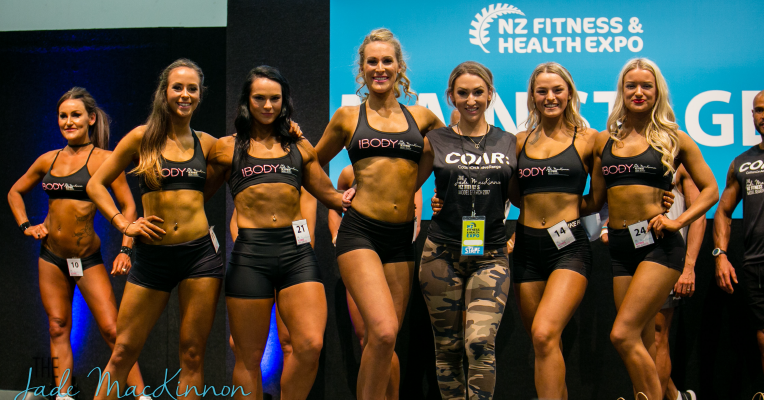 We were super excited to once again host the Jade MacKinnon NZ Fitness Model Search at the 2018 NZ Fitness & Health Expo! By far, this is one of the biggest features at the Expo and with Jade managing this exciting event with her experience, knowledge and passion this is bound to be another great comp! The Jade MacKinnon NZ Fitness Model Search is open to anyone with an interest in health and fitness and feels they have what it takes to represent the health & fitness industry – no matter your size, shape, age or experience. 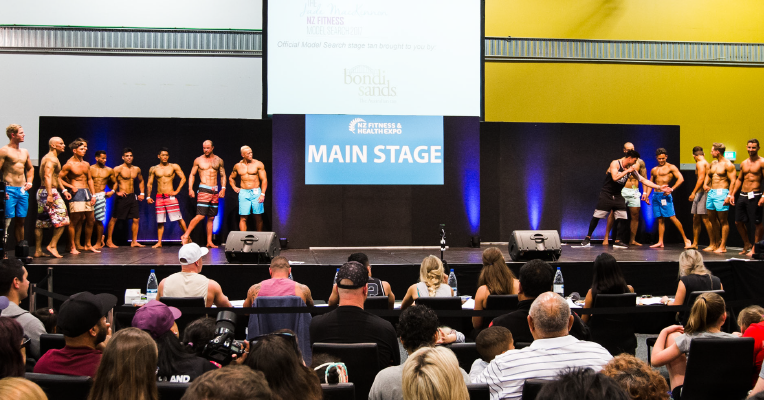 If you think you fall into either of these categories (or you know someone that does) this is your chance to be on the stage at the biggest health & fitness event in New Zealand and show us what you’ve got. No competition experience is required as we’re always looking for a natural, healthy look. Exact judging criteria can be found in the FAQ section. All competitors will have access to and support from Jade’s team of professionals leading up to the event. Jade and her team are great mentors who will be providing advice, tips and full stage presence/choreography support leading up to and during the competition. 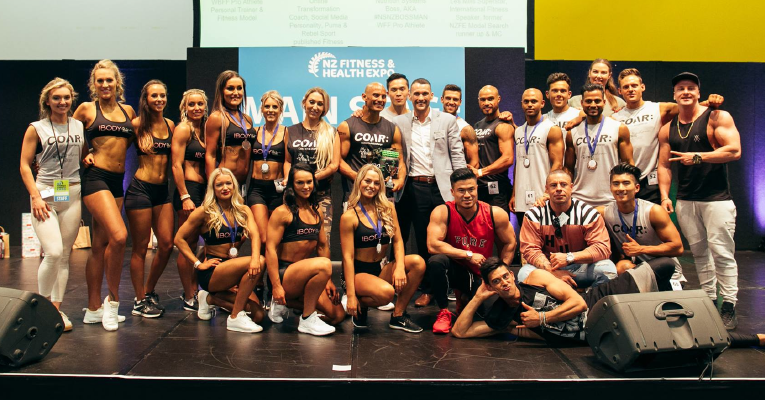 The object of the Jade MacKinnon NZ Fitness Model Search is to find male and female contestants who would be ideal candidates to represent the fitness & health industry. And with the addition of a unique NEW CATEGORY last year, we’re also on the hunt for Fit Mums and Dads who would be great role models for their peers. Round 2: Swimwear – (2-piece bikini, heels). Final rules on heel type and bikini will be provided to competitors in their information pack after registration. Male: High/mid-thigh length shorts (e.g. rugby shorts length) and singlet. You may wear your own sports/running/gym shoes. We suggest these look nice and clean and are in an excellent condition. Details of allowable shoes will be provided to competitors in their information pack after registration. Female: 2-piece bikini, heels. Final rules on heel type and bikini will be provided to competitors in their information pack after registration. The final 3 men and women for each category will be asked a series of questions to allow the public and judges to find out a little bit more about them. There might also be a fitness element to the Jade MacKinnon NZ Fitness Model Search – after all we’re looking for NZ’s #1 Fitness Model so you need to be able to walk the walk not just look the look! 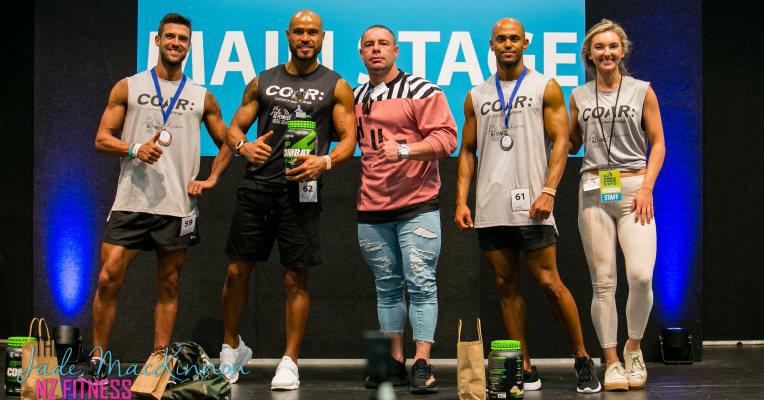 NOTE: All registered competitors will receive complimentary entry to the 2018 NZ Fitness & Health Expo to compete, as well as 1x NZ Fitness & Health Expo ‘2-Day SuperPass’ (valued at $35) for one support crew member.